Customer Highlight: How Sweet Is That? 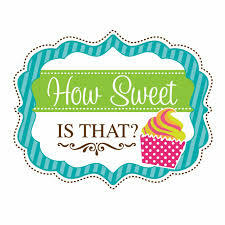 How Sweet Is That is an online retailer of cake, cupcake and cookie decorating supplies based in the Ontario province of Canada. Sherry is an entrepreneur who transformed her hobby into a paid business. As she was decorating cakes on her kitchen table using unique supplies she was importing from the UK, her artisan craft soon created a buzz. Initial curiosity in Ontario turned into a increasing demand locally, and soon, interest grew from US-based custom baking fans and gourmet cookie bakers. Sherry understood the timing was right to expand her business by offering her baking supplies and ingredients online. Once her website was set up, she knew the next step was launching the website by promoting the visibility of her online business. How would she do it without a big marketing budget? What was the best way to get the word out online fast without breaking the bank? While building her site using the website builder, Sherry noticed the SiteWit feature offered in the dashboard and decided to install the widget. Without search engine marketing experience and only an initial limited budget, Sherry appreciated that her business was advertised live using Google AdWords. SiteWit immediately automated the optimization of her paid ads to drive new visitors from initial modest budget. Since using SiteWit, Sherry has seen a notable increase in traffic to her site and has gotten more business directly from her paid search campaign. 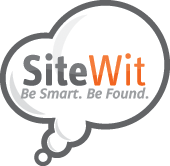 She also found the SiteWit user interface easy to use and has had a great experience with their customer support.